We've been under construction at our new storefront since the summertime, and are excited to finally welcome you into our space for a holiday shop and open house. The full line of ODLCO products and inventory will be available for purchase, plus production samples and one of a kind objects. We'll also display some artifacts from our small batch manufacturing process for the Wabi Nabe, Capitol Butter Dish, and Trivet Runner. 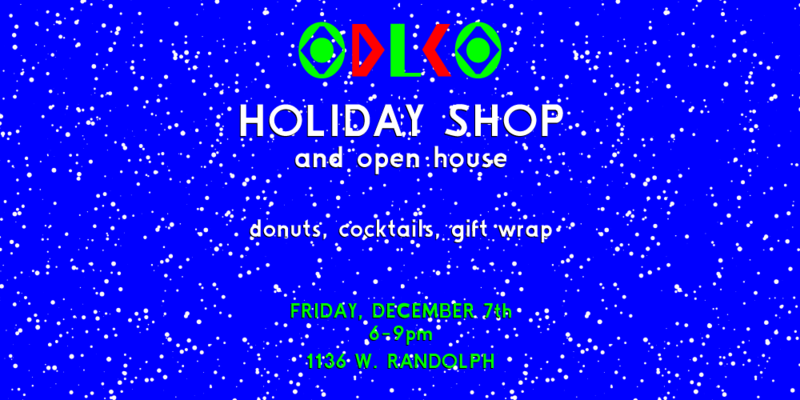 ODLCO will provide gift wrap, Food Crypt (Chris Roeleveld and Sam Cholke) will be frying donuts on site, and our friend Jordan Martins will concoct boozy cocktails to keep everyone warm and fuzzy. All are welcome! Share the invite and RSVP if possible. The holiday shop will stay open for the season from December 8-19th.